At times like this it seems somewhat frivolous to post about knitting and Christmas presents and things that all seem so trivial. I guess what we can do is appreciate the many things we are blessed with and share what we can with relief organizations. 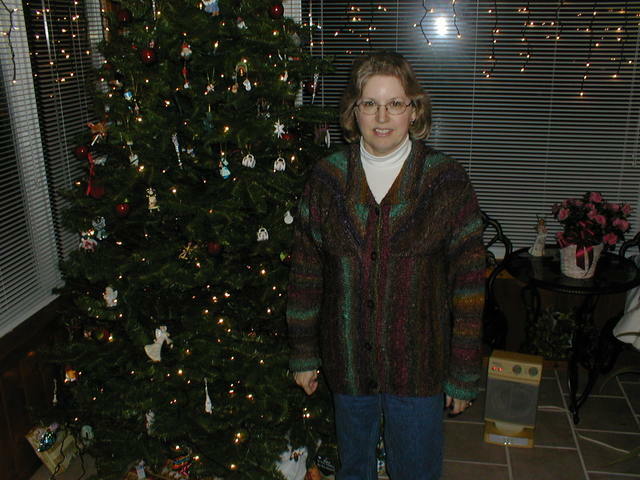 Our Christmas was relatively quiet, dampened by the fact that my mother-in-law was in the hospital. 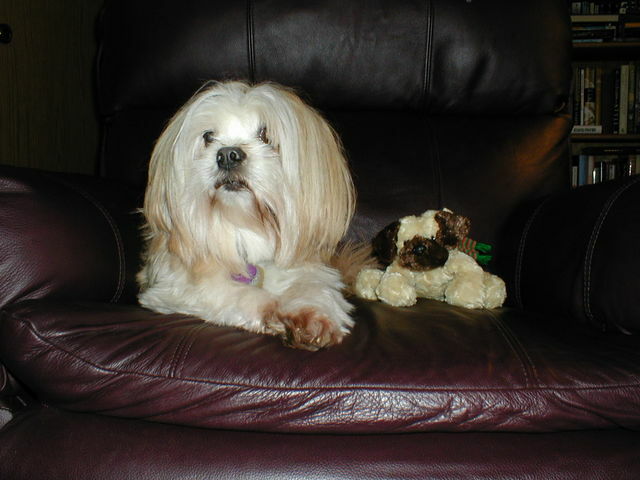 The good news is that she seems to be better, although that is a relative term. She has been released to a nursing home and will hopefully be able to move back into the assisted living facility within a couple of weeks. Sadly, she seems to be losing a lot of her cognitive abilities, although that may be due to some of the strong pain medications she is on. Only time will tell in that area. My sister’s sweater was a big hit! 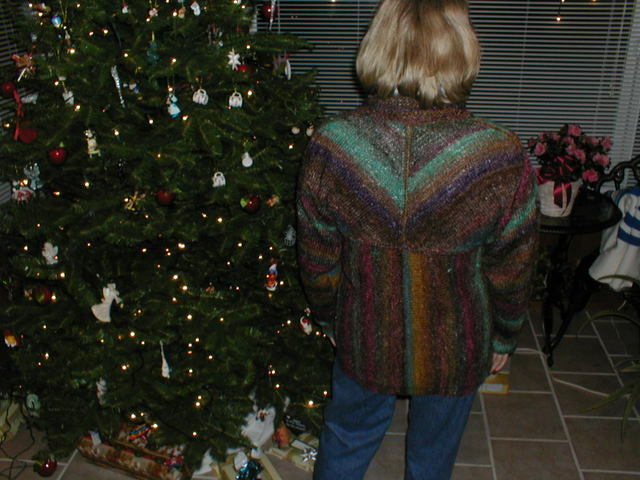 Although she knew I was working on it, she seemed genuinely surprised that I got it done in time for Christmas. Oh ye of little faith. The gorilla sleeves really were too long for her, so while my hubby cooked Christmas dinner (turkey and all the trimmings – although some of us helped with the trimmings! 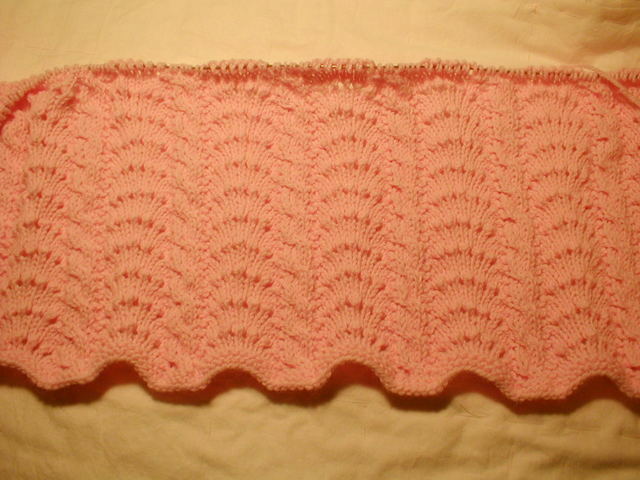 ), I snipped the sleeves and knitted the cuffs down. She wanted a turn back cuff. I let her get away without a picture, though. 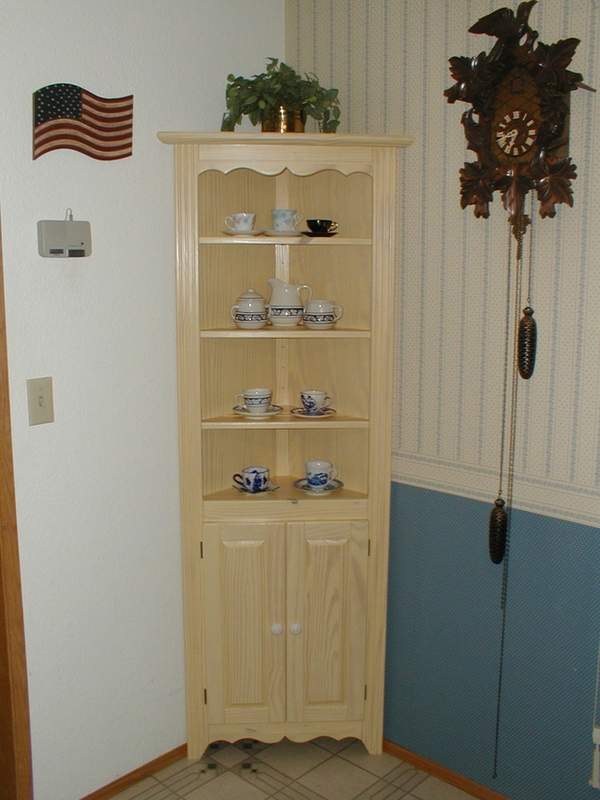 My husband made me a beautiful corner cabinet! I knew he was building something, but expected a small box, not a piece of furniture. And here is a cute picture of Kirby tolerating (barely) a little puppy that barks “Jingle Bells” and “We Wish You a Merry Christmas”. The only glitch in Christmas dinner was the dishwasher door getting stuck in the closed position (hey, at least the dishes were clean!). By the next day Bill had gotten it open and figured out a way to rig a little handle to open it up. However, when I tried it, a shower of sparks ensued and I suspected a new dishwasher was in our future. I know – we could certainly do dishes by hand, but a dishwasher is one of the luxuries we allow ourselves. The heel is slightly different than her pattern. Why, you may ask? Ok, since you asked so nicely, because I misread the pattern. You just had to know, didn’t you? I was knitting merrily away doing what I thought was a standard slip stitch heel (which Marguerite called Eye of Partridge), when I realized that hers was a little different. After a flurry of emails with her I discovered that her slip stitches are offset, forming a little honeycomb (hmmm – eye of partridge? ), while mine were lined up like little soldiers all in a row. I’m not going to rip this, but will try the EOP heel on the next pair. Yes, there will definitely be a next pair. I am loving this pattern! Thanks Marguerite for sharing. The only intentional change I made was to lengthen it a little after the cuff as I like a little higher sock. And I urge one and all to head over to Susan’s blog. She’s posting a cute sock pattern for sale and all the proceeds will go to Oxfam for tsunami relief. I was noticing that my iPod was getting scratched. I looked at cases, but they were so expensive. 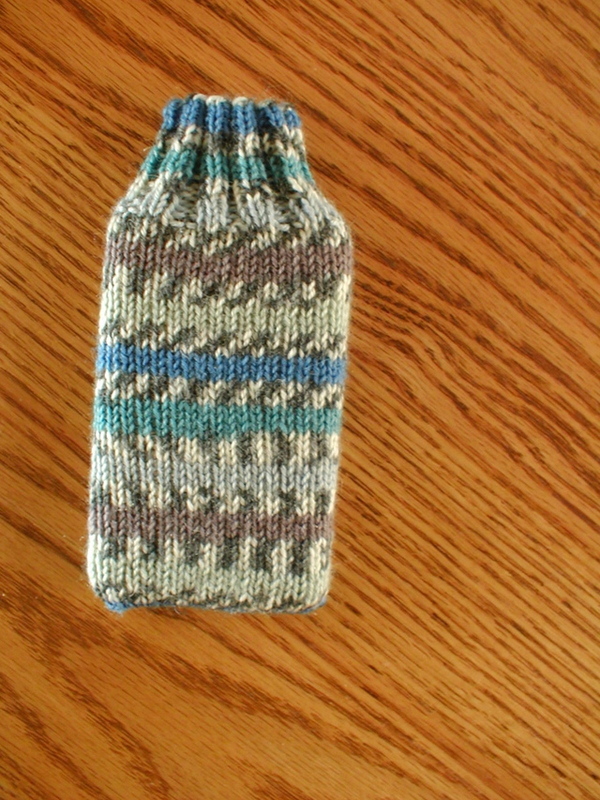 I just used some leftover sock yarn and voila! 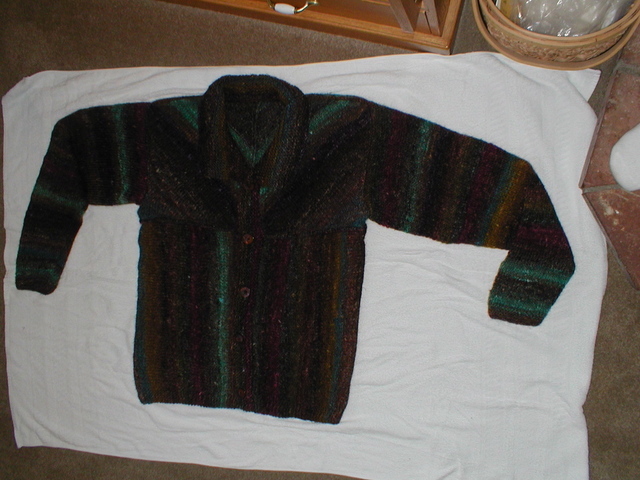 An iPod sweater. My son is convinced that I could get a little cottage industry going making these, but I’m not so sure. For one thing, to sell something you need inventory, which means knitting whether you feel like it or not. And that takes some (or all) of the joy out of it. Anyone out there knit for profit? Any input? I have knit for barter. A dentist I worked with once was a very talented potter. His pots sold for upwards of $200 and at the time I certainly could not afford that. 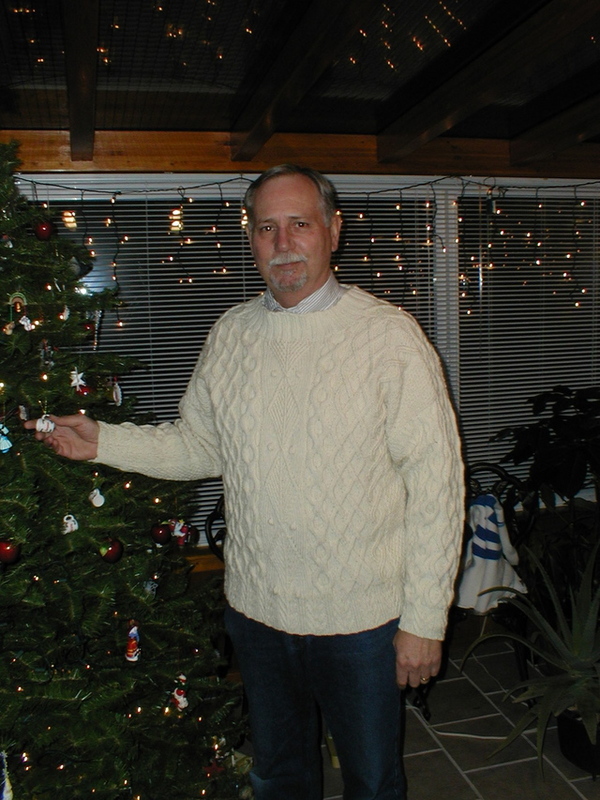 He wanted an Aran knit sweater and offered to barter for it. In the end, he was so pleased with his sweater that he gave me two pots, a bowl, a colander and a set of goblets. He made the point that time-wise he still got the better bargain and he was probably right. Now that my deadline baby knitting and Christmas knitting is over, I need to get back to some languishing projects. There are two Dale sweaters, plus an Elspeth Lavold and an Alice Starmore that only need to be sewn together. 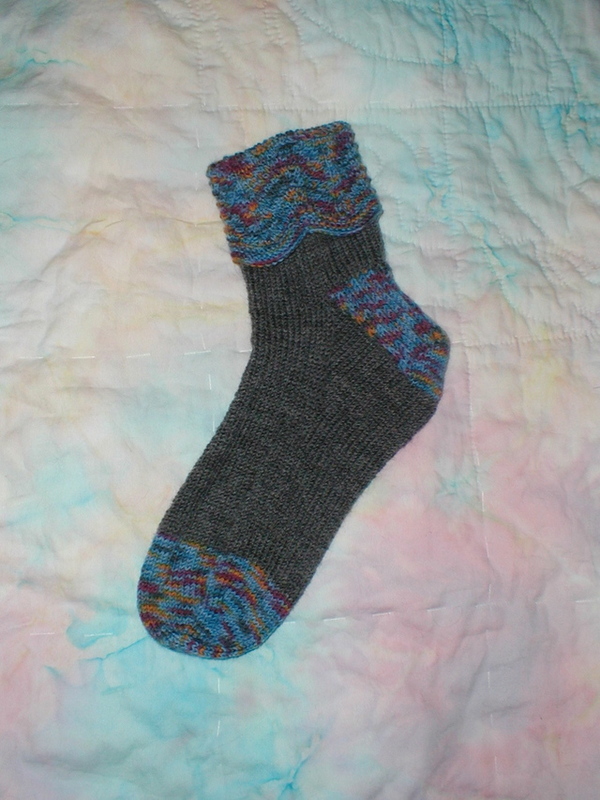 I think for the new year I’m going to make myself the challenge to knit a pair of CIC socks each month. That shouldn’t be too hard – a little toddler sock should only be one or two evenings’ work. And I think I will start with the Toddler Basketweave socks – courtesy of Marguerite. Well, gotta run and get ready for a party. It’s the last of the Christmas parties tonight and I’m so glad. I am NOT a party person. I’m not really shy, but I can deal with people one-to-one much better than in large groups. I tend to be a wallflower and look for an available excuse to go home. After all, I could be home knitting! It’s the little girl’s set! I really love the little hat with the ruffles! It sure does look small, though. 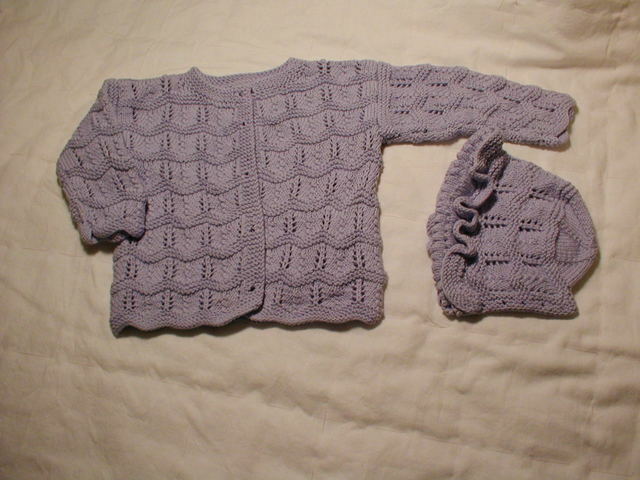 I need to dig out one of my son’s newborn sweaters and compare. I remember thinking they were really small, but some of them didn’t fit him until he was a month old and he was average size. But I promise to be good and not start anything else until the one Christmas present I have left is done. Promise. Really. And you have to check out this site. These really are some ugly sweaters. I wonder if he has any takers on his calendar? A fun weekend coming up – my sister and I are spending the weekend Christmas shopping and generally having fun in Seattle. I have to find my husband something else for Christmas. He gave me a wish list, but every time I turn around, he’s bought something off of it. As I recall, he did this last year, too. So he’s just going to have to settle for something I pick out for him. What a concept, huh? We have some friends who buy their own Christmas presents “from each other” and I just don’t understand that. If you buy it for yourself, it’s not a gift from the other person. My friend insists that’s the only way you can insure you’ll get something you like. But I think that’s missing the point – a gift is something the other person wants you to have. Over the years, my husband and I have had some hits and misses, but we always know the gift is from the heart and it means so much more that way. Hope I’m not so long in posting next time. Semester is over and although I have a class that extends into next semester I have no deadlines. Hooray!